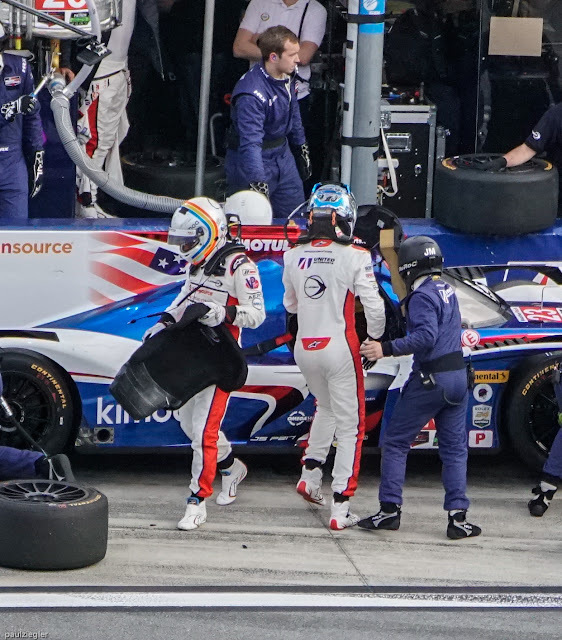 The 2018 Rolex 24 Hour IMSA race was especially exciting with Formula 1 champion Fernando Alonso driving the #23 United Autosport Ligier Js P217 entry. The fans went crazy for him and here's just a taste of what it was like having Alonso 'in the house'. 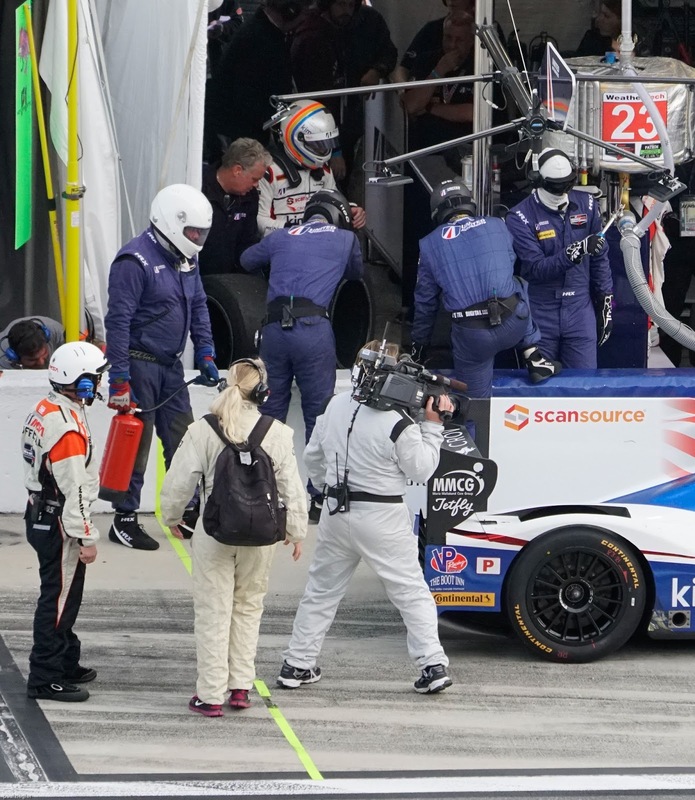 Interesting note- I was shooting still shots from the grandstand opposite the Untied Autosport pit box while a camera crew was doing a video for IMSA. I happened to be taking pictures of the photographer doing the video. 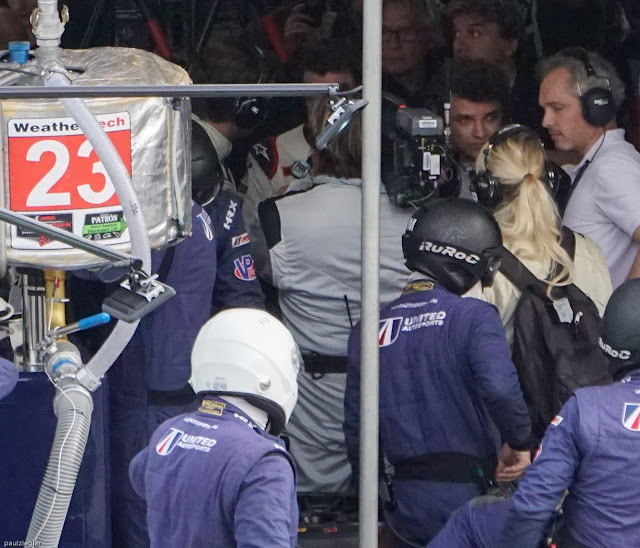 See second link below showing the in car camera and the interview in the pits that I have photos of. Great timing! Alonso's In Car View and Pit Interview- Awesome! 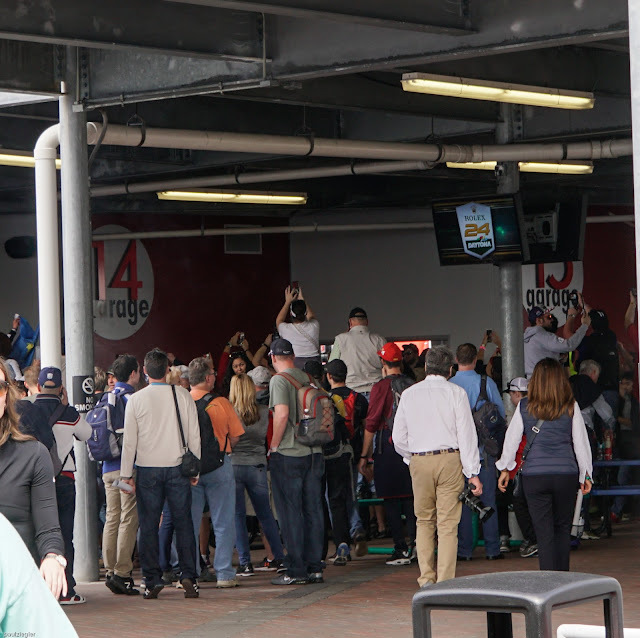 Fans trying to see Fernando Alonso at the autograph session before the race. Below is the sequence of shots showing Alonso as he exits the car for a driver change after he put the car into first place early in the race. Video crew getting ready to interview the F1 star. The interview that was later posted on the IMSA website. See link above to view the video! 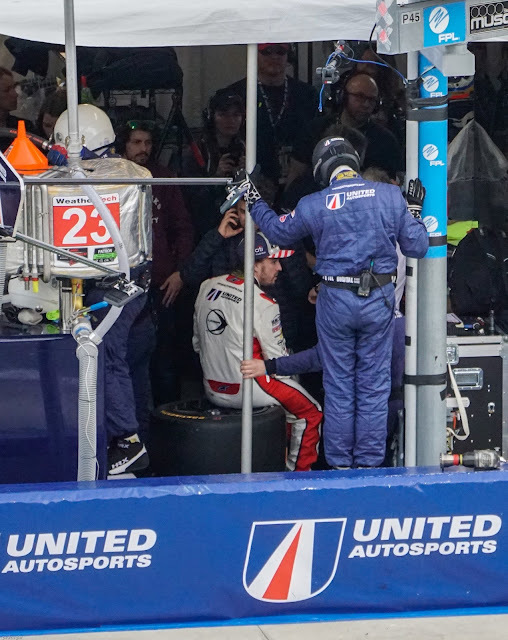 Relaxing after driving his first stint. 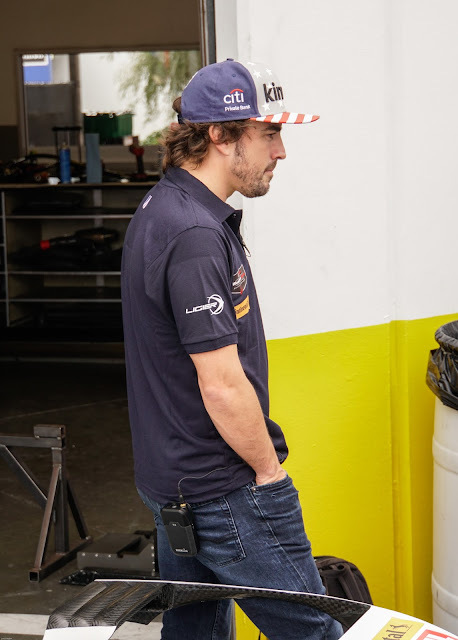 Actually Fernando impresses you when you see how cool and laid back he is. 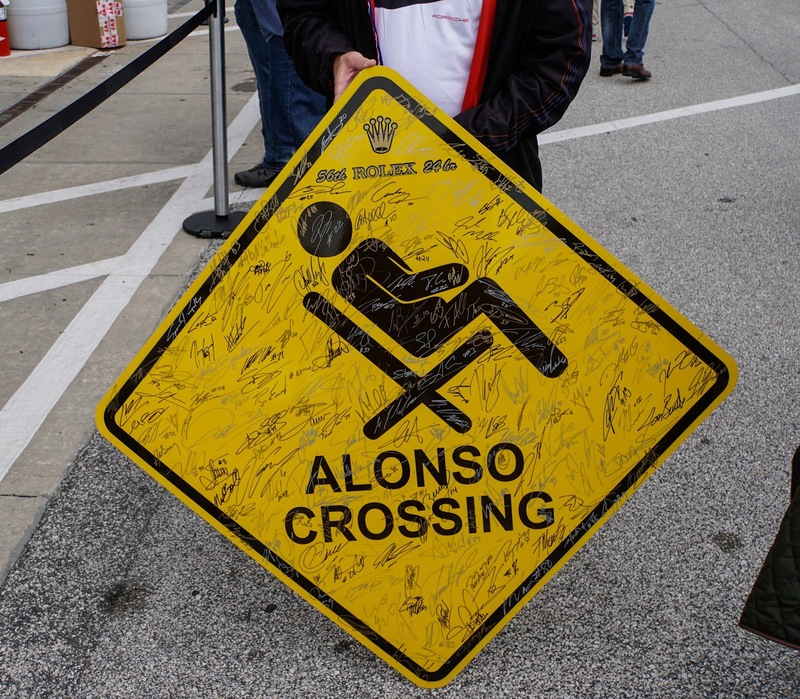 Seen in the garages on Friday. Check back at my blog for more in the next day or two.